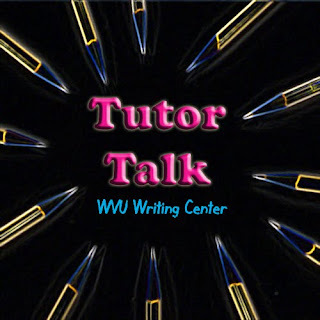 Tutor Talk: Episode #3 - Making the Most of the Writing Center is now available for FREE download on the iTunes U store. Click here to launch iTunes. In this episode, John welcomes the newest co-host, director Dr. Nathalie Singh-Corcoran. John and Nathalie discuss some of the things that students should know coming in to the Writing Center in order to have a successful experience. We also realize that Nathalie's office is much larger than originally thought, and also has a studio audience. All of this and MUCH much more on this season of Tutor Talk!